This was my fourth year at the Southern California Genealogical Society Jamboree in nearby Burbank, California, and a memorable one at that. I was honored to be awarded the Suzanne Winsor Freeman Memorial Genealogy Grant, with many, many thanks to Denise Levenick (The Family Curator), a staunch supporter of young genealogists. In previous years, the grant has been awarded to a student, a profile I no longer match. However, this year, it was decided to award it to any active young genealogist, and I couldn’t have been more surprised and delighted when I received the call informing me that I would be the recipient. The Southern California Genealogical Society also provided a complimentary conference registration. The award was presented at the Sunday Scholarship Breakfast, sponsored by Legacy Tree Genealogists and featuring speaker Paul Woodbury on the topic, “Preparing Good Ground: Fostering Genealogical Interest for Coming Generations.” I think everyone came away with chills after hearing about Paul’s experience visiting the abandoned home of a French ancestor that featured his family history carved into its stone walls. (This also happened to be my husband’s first genealogical event, and it made a good impression!) The Family Curator’s press release is available here. The Suzanne Winsor Freeman Memorial Genealogy Grant includes a cash award which I look forward to putting towards, in part, the proper archival preservation of my own family archive, hopefully bringing greater organization (and peace of mind!) to my ever-growing collection of old photographs and documents. Stay tuned! I was glad to attend a number of excellent sessions at this year’s Jamboree, including speakers Tom Jones and Elissa Scalise Powell on methodology and Michael Lacopo on German genealogy. I can hardly wait to dive into Archion.de, a new online database of German records. Other standout sessions included topics ranging from adoption to migration to pre-1850 census records, and I especially enjoyed Jane Neff Rollins’ “Sensitive Subjects in Genealogy: What to Conceal, What to Reveal.” Selected sessions from Jamboree can be viewed for free until July 5. As always, Jamboree is a social as well as educational event, and it was nice to catch up with geneafriends, fellow geneabloggers, and former classmates from the Salt Lake Institute of Genealogy. 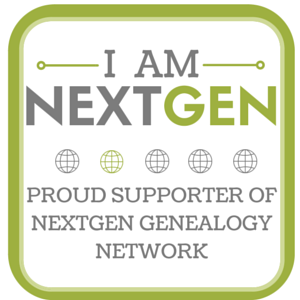 I also hosted a meetup for the NextGen Genealogy Network and had a great time sharing what’s new with our organization—including a community directory that will allow young genealogists to connect with their peers. I’ve loved being a part of NGGN as it’s grown and evolved over the past several years and always enjoy getting a good group together to chat at Jamboree. Until next year! 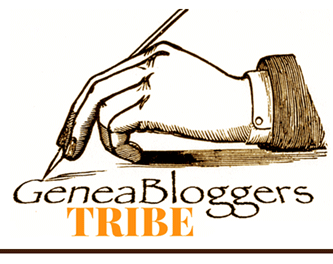 This entry was posted in Professional Development and tagged conference, family history, genealogy, Jamboree, NextGen Genealogy Network, professional development, Southern California Genealogical Society on June 6, 2016 by Melanie Frick. Melanie, what an honor! Congratulations and best wishes in the completion of your project idea. I so enjoyed getting the chance to chat with you over the weekend, but there’s so much more to catch up on. Looking forward to hearing more on your NextGen plans. Thanks, Jacqi! It’s always so good to see you and catch up, however briefly! I hope our paths will cross again soon.